While critics seem to love Star Wars Episode VIII – The Last Jedi (as 91% on Rotten Tomatoes and a metascore of 85 suggest), audiences are on the fence (47 % audience score and 4.5 user score). What seems to be the problem, if there is one? The plot is pretty dense: The movie starts with the rebels still on the run even though they managed to destroy the Starkiller base. After winning a very costly fight against some of the First Orders fleet thanks to Poe Dameron, Leia and the rest of the bunch are fighting and fleeing simultaneously, but the First Order, seemingly intact despite it’s losses, tracks them and attacks the convoy. What is left of the rebels is trying to get to a hidden base, except for Finn who tries to get away. During the attack Kylo Ren hesitates to fire at his mother’s ship, but the bridge is destroyed anyway and Leia blown into space. Thanks to the force she lives, but is badly injured and unconscious. 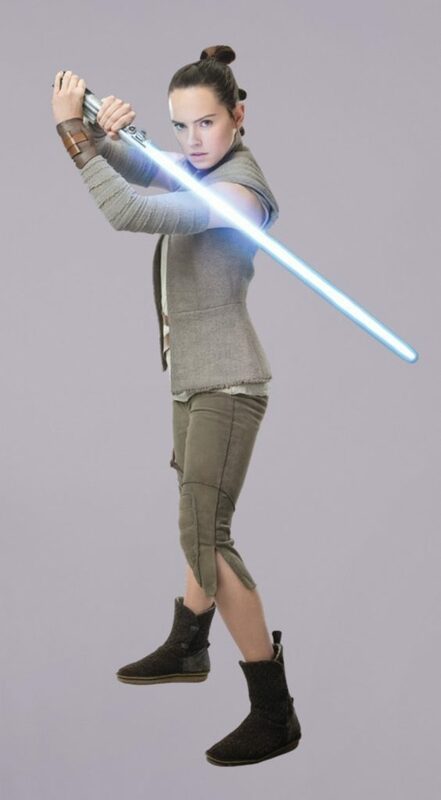 At the same time Rey has found a very grumpy Luke Skywalker, who she wants to train her and help with the fight at hand. Luke isn’t very cooperative at first but R2-D2 finally convinces him. Rey and Kylo communicate through the force and Rey learns about what happened between Kylo and Luke. She finally decides to confront Kylo trying to save him, so she takes Chewie and the Falcon to his ship. Back with the rebels Finn is captured while trying to escape from the rebel ship, and then figures out a plan to save the fleet. He, BB-8 and his new friend Rose Nico set off for a secret mission so they can deactivate the tracking device. On Kylo’s ship Rey is confronted by Supreme Leader Snoke, who reveals that he helped establish the connection between Rey and Kylo. He orders Kylo to kill her, but Kylo instead attacks and kills Snoke. Together they fight Snoke’s guards. Kylo then tries to convince Rey to join him leading the First Order which she refuses. Fighting over Anakin’s/Luke’s lightsaber it splits in two. Meanwhile on the rebel ship Poe starts a mutiny against Vice Admiral Holdo, because he finds her strategy cowardice. 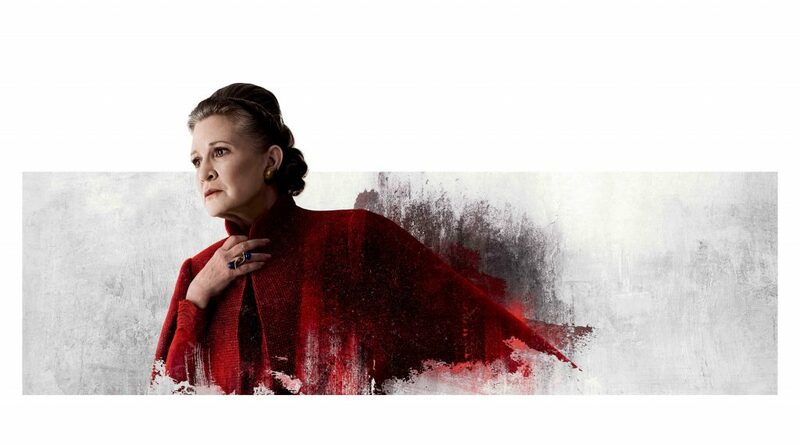 Only after the awoken Leia stuns him can the plan to evacuate the rebel leaders continue. They want to go to an abandoned base on the planet Crait. To keep the First Order from destroying the transport ships Holdo sacrifices herself and hyper jumps into their fleet. There’s a lot going on here, and maybe that’s a problem. 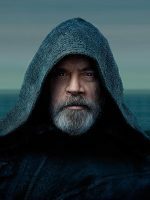 Episode VIII is not as straight forward as Episode VII, and maybe the most complex (and surely longest) of the whole series. Not all of it seems equally important though, the whole story of Finn trying to save the fleet seems oddly random. It’s not that Star Wars can’t tell different stories simultaneously, but the whole arc of trying to save the rebel ships seems worthless, once it’s decided to abandon ship anyway. 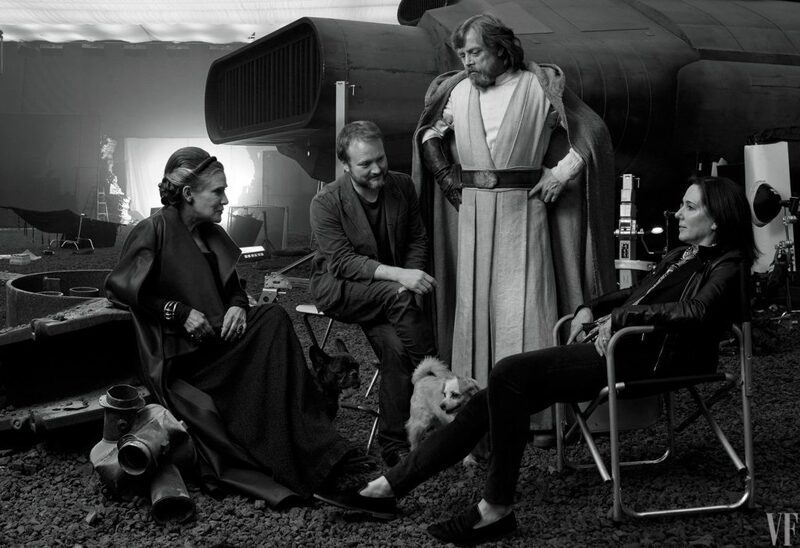 Some have argued that Rian Johnson only wanted to tell the stories that he was interested in and otherwise got rid of anything the first movie established. And the way Johnson deals with Snoke, or Finn, seems to support that idea. There is a certain hopelessness attached to the movie, as there is no final victory, or if there is, it’s only the ending to a series of losses. The film style maybe is less flashy than Abrams‘ first episode, but it sticks with the high visual and acoustic quality you come to expect, as well as the diversity of settings. Even though much of the plot takes place on ships, the movie manages to sneak in some gorgeous planet surfaces and unique visuals. The sound design is also great. The technical quality doesn’t seem to be the reason audiences dislike the movie apparently. It is obvious though that the movie took a lot of risks and tried to be progressive with the legacy that Star Wars presents. And while it surely isn’t the perfect film, it’s got a lot going for it in my opinion. There is something about this movie (greater than it being Star Wars) that connects deeply with me. Maybe it’s about the next generation taking over while the former generation is fading and mostly getting out of the way while trying to assure a transition of some sort. Maybe it’s the idea of aging characters you love, doing what they can do best for one last time, while new characters are trying to find their place in the worl… hum, galaxy. Transitions are hard, and in doing prequels, Star Wars has avoided them for the most part. So Johnson had an important task in his hands in making the next step after Abrams rather reminiscing first episode. All in all it seems he did a good job with that. But some fans may have a hard time in approving of this „new“ Star Wars universe where good and bad isn’t as clear cut. I think there are some (partly serious) flaws in terms of getting the mood right, sometimes the mood inexplicably changes from serious to ridiculous or back. There are jokes that seem misplaced and logical jumps that don’t work well for me. On the same note there are one or two aspects that for a movie that tries to stay believable and not too „out-of-this-world“ are too much of a leap imho. Some plot points that EP:VII put on the list seem to be resolved quite hastily, and all depth of what could have been just blows away. I tried to write this all down quite quickly after I first watched it in cinema but then didn’t publish it. 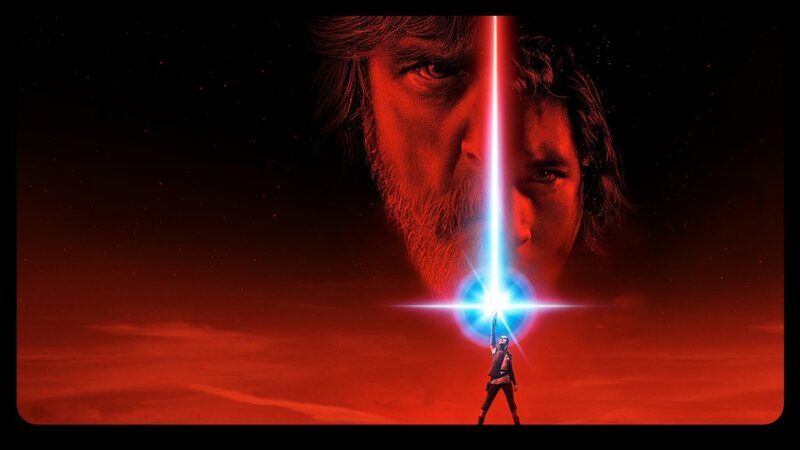 Maybe it was the bitter sweet realisation when the credits were rolling, that this was indeed the first Star Wars movie I would not watch with my dad. I also had to watch the movie again at home after more than a year to remember that I had not finished the review. 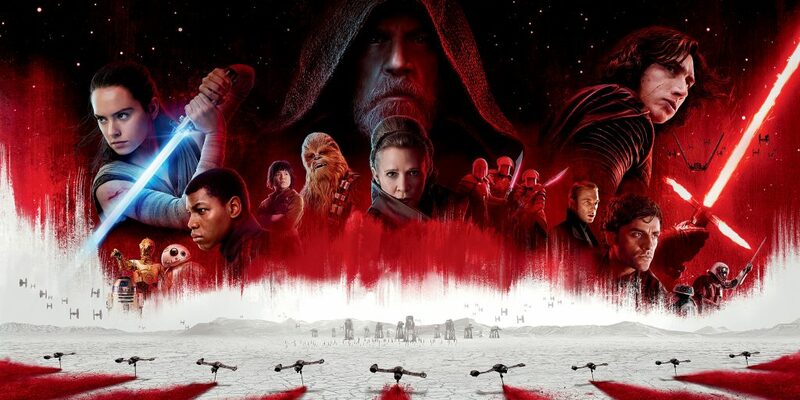 And after watching Solo, I felt this certainly was the better Star Wars movie of the last two years, so I should have. 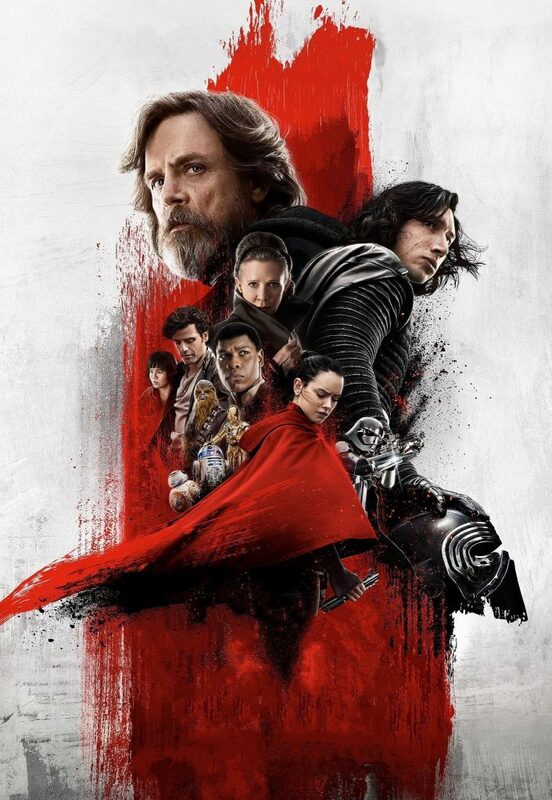 Some fans are criticising that Disney is really milking the cow with the franchise, rather having material (at least film-wise) to release yearly than really going for quality, new ideas and putting in the time to get it right. That might be true for Solo (which I might review at some point) but is not fully true for The Last Jedi. Sure, there are some gaps in the logic, and if you look at some of the fight scenes too closely they are not nearly as well choreographed as the fights in the prequels. But then again, there is an over-arching emotional tone to the movie and the attempt to take Star Wars where it has not been before. This was not an easy movie to make (if you believe the making-of-documentary) and maybe it’s not a movie meant to be easily liked as well. All in all though, this a worthy addition to the third trilogy and an interesting and surprising turn in many ways.